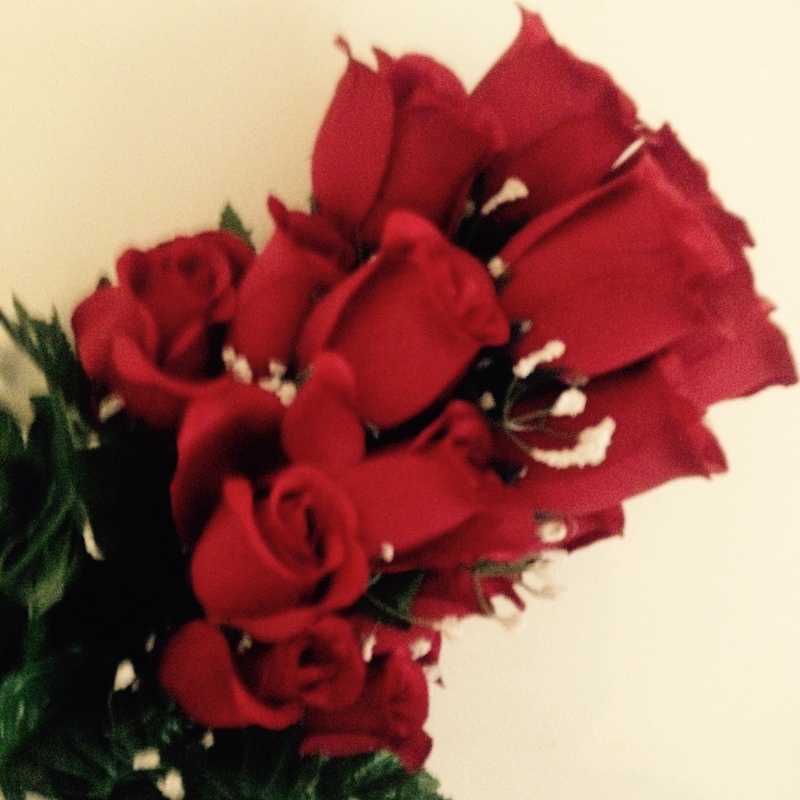 These are the roses Ralph gave me for my 65th birthday. Sixty-five feels like a biggie. Like everyone I know my age (except Ralph who has been saying “I’m an old man” to explain his cognitive impairment since he was, well my age) I don’t feel old. Physically I am in good health; I get plenty of exercise and, despite from those pesky escaping words and names, keep myself mentally challenged. But at 65, the fact of no turning back is staring me in the face. I have begun worrying about my sight and hearing, about the limp that still plagues me 18 months after my broken ankle, about a certain timidity that has crept into my driving. To say I’ve been obsessing about this birthday would be putting it mildly. But then again I have obsessed over birthdays for as long as Ralph and I have been together. And with good reason. For most of those forty odd years, my birthday has been a day of recrimination, guilt, and tears. He almost never remembered unless one of the kids reminded him and he was terrible about getting me a gift or arranging a dinner out. I started winding myself up in a knot of resentment days ahead so by the actual day I was impossible to please anyway. One year I locked myself in the bedroom in tears rather than eat the Kentucky Fried Chicken he’d picked up as my last-minute birthday meal. But with age come a little wisdom and more patience. Also small miracles. So yesterday morning, I lounged in bed drinking the coffee Ralph had made me when he walked in the bedroom with a bouquet of roses plus a card. I’d guessed he’d been out present buying the day before when I caught him driving into the driveway in his truck, and I have to say the fact that he picked out a card was probably more meaningful that the flowers. But they looked lovely, the reddest roses I’d ever seen. I couldn’t believe he’d found them at Kroger’s. Proud of himself, he went off with the flowers to find a vase. But he couldn’t find one–I used to blow glass so there are vases on every flat surface in our house–so I reluctantly got up and found one for him him. Then he couldn’t get the flowers unwrapped. So I took them from him. “Yes they will,” I agreed. “Yes they will,” I agreed again. And again when another friend admitted she had a sunflower at home that was suspiciously fresh after three weeks and she better get home and check it. And what makes the laughter delicious and the story one we’ll keep telling is that it could have happened to anyone, not just someone with cognitive impairment or Alzheimer’s related memory loss. I have to admit, this has been the best birthday ever, or at least since I got that brownie camera when I was six.